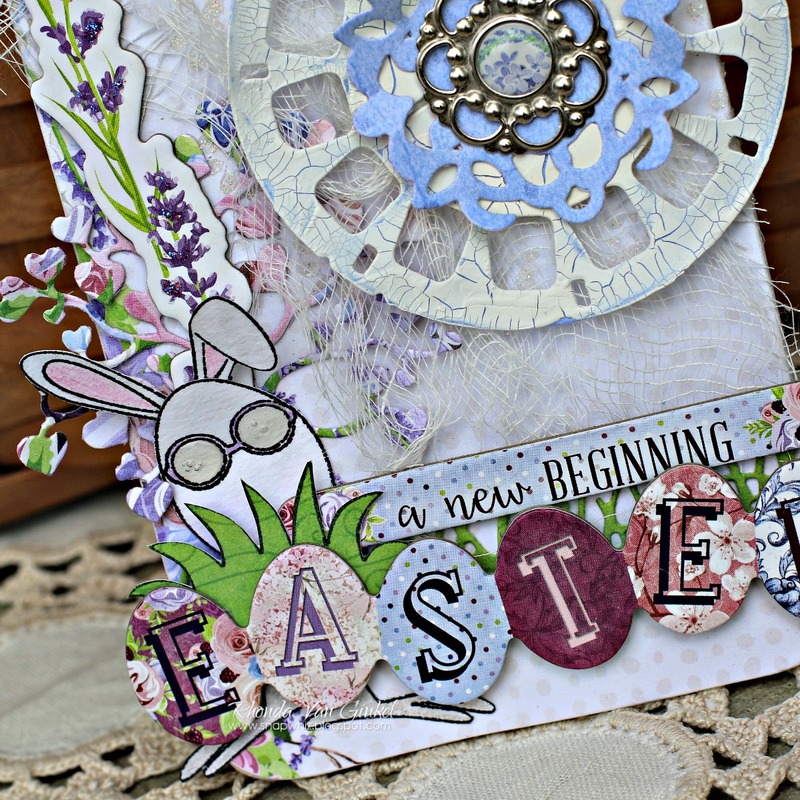 The BoBunny Blog: Mixed Media Door Hanger! I was so excited to get assigned to Mixed Media with all of the delicious new products that BoBunny has just released, it's like paradise! 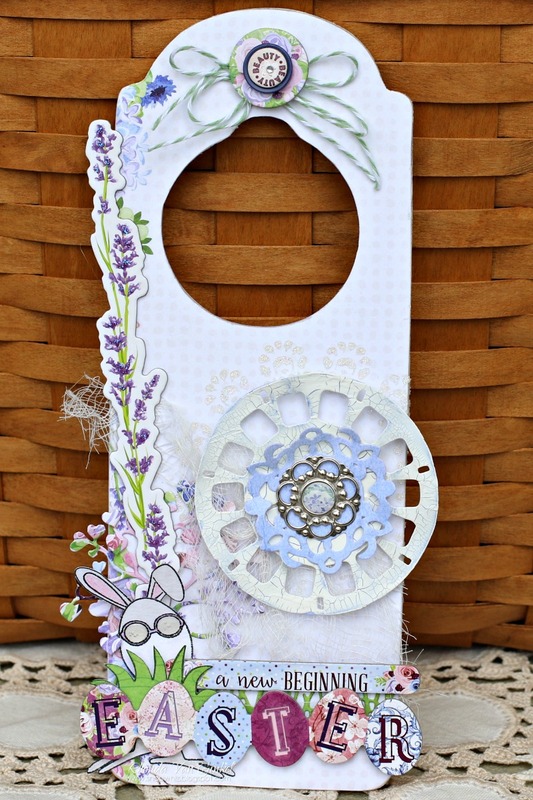 I'm using Secret Garden with new Eggcellent Stamps for my door hanger. This foundation is a wooden door hanger that I picked up for .79 cents at my local craft store. To prepare the base, I used some White Gesso around the edges and sides. 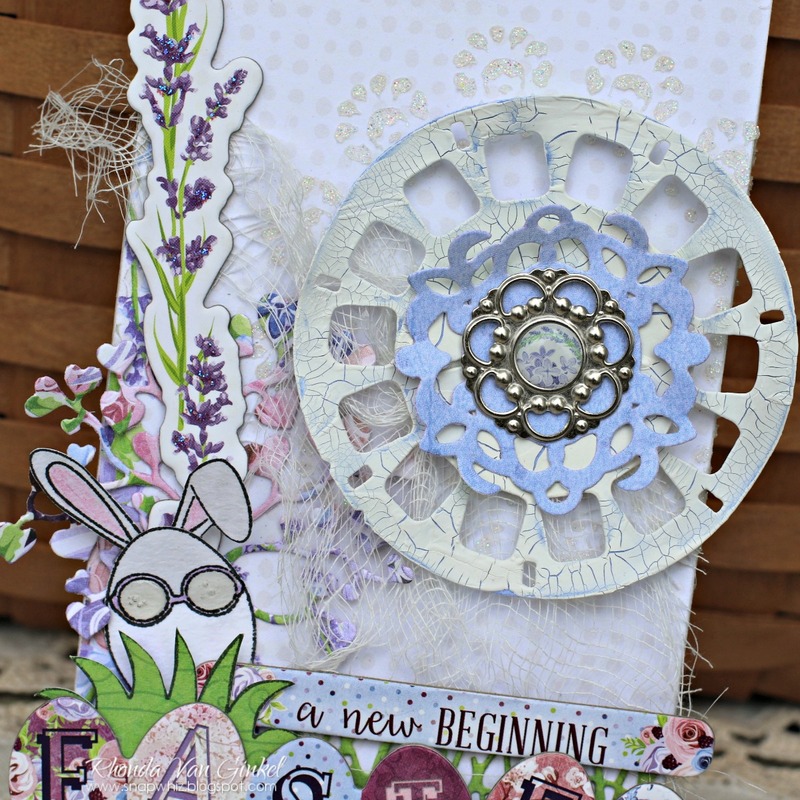 While that was drying I thought it would be fun to use one of our new Crackle products on a die cut to see how much if any of the background color peeks through. First step - apply a thin layer of the Crackle Paste Primer and let dry. Ok, I confess, I was impatient and did speed up the drying process with my heat gun, but I made certain the paper was completely dry before I did anything else. Next I applied the White Crackle Paste using a plastic craft knife in a fairly thin layer, then applied heat using my heat gun to dry and crack. You can see the results below. While the Picture This die cut was drying, I traced the wooden door hanger on the back of my Vineyard pattern paper so the design aligned on the left. A bit of cheesecloth was cut and tacked down. 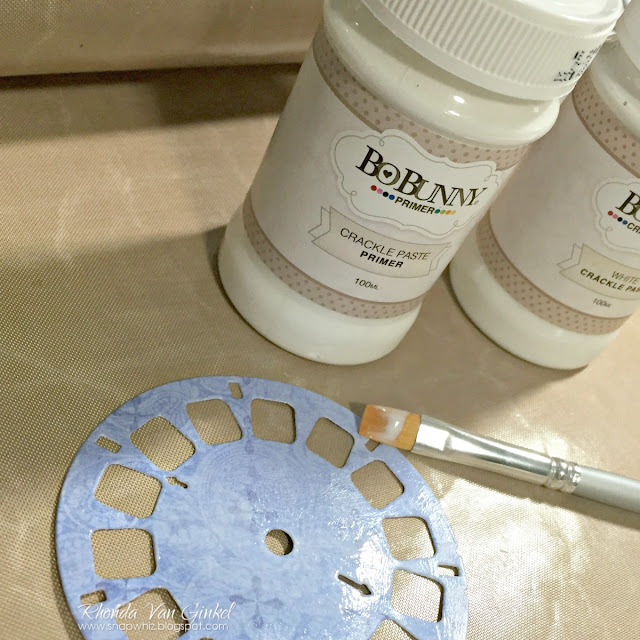 Next, I cut a small Ornate Doily to layer with my Picture This crackled embellishment and topped it off with a pretty Brad. I used some Sugar DoubleDot cardstock to stamp my sweet little Eggcellent character on, then used a few color pencils to give a bit of detail. I cut a Branch Out heart branch from the Roses papers and layered behind him. Then I cut a long patch of grass from the Bike Ride die set. I arranged all of the sentiments using foam squares for dimension, then added my other layers behind it. Thank you for the closeups of this! I really wanted to know how the crackle primer looked when dry. You tag turned out terrific!